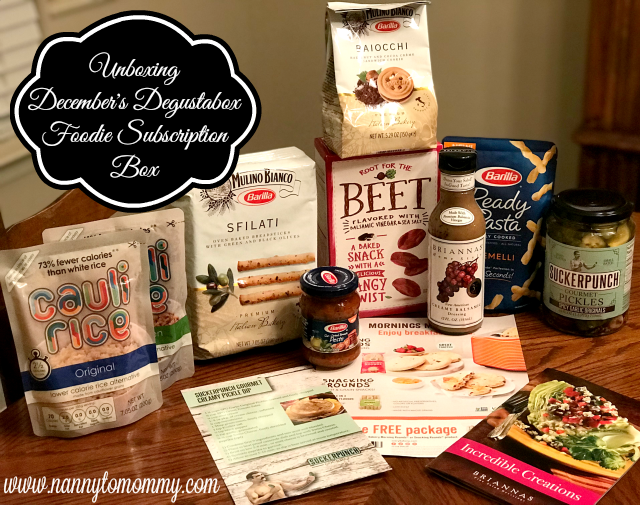 If you haven't purchased a Degustabox yet, maybe this month's will change your mind. 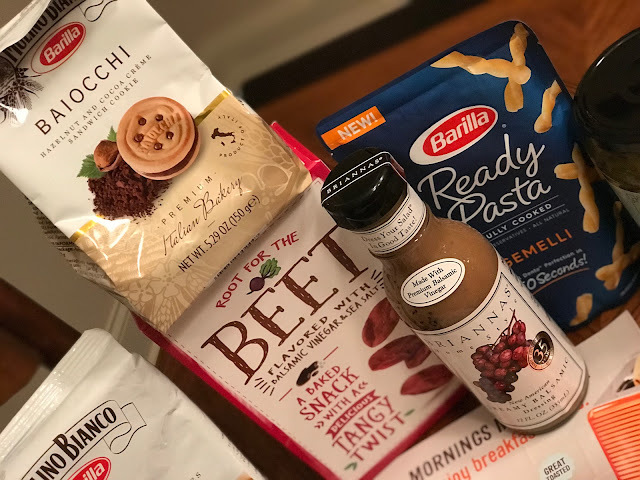 I have been reviewing this foodie subscription box for over a year now and I love all of the products I have discovered along the way. This month had some awesome new products and don't forget new subscribers can get their first box for only $9.99 which includes a free gift and free shipping. This month's box was a movie night theme. Barilla Sun-dried Tomato Pesto delivers the vibrant flavors of the Mediterranean with the sun-dried tomatoes, capers, and oregano. Enjoy this flavorful pesto on pastas, sandwiches, pizzas, and more. Barilla Ready Pasta. Make perfect pasta in 60 seconds with Barilla Ready Pasta! Made with 3 simple ingredients - a dash of extra virgin olive oil, a pinch of sea salt and al dente Barilla pasta. Just add your favorite ingredients and enjoy! Mulino Bianco's Sfilati with Green and Black Olives are oven-baked breadsticks which are inspired by the traditional long and thin Italian "sfilatino" bread, similar to a baquette. Sfilati's crunchiness and delicious Mediterranean flavors are sure to please your palate during any break in your day. Mulino Bianco Baiocchi are delicious sandwich cookies filled with sweet hazelnut and chocolate cream between two rich biscuits. Take a break with Italy's favorite cookie and try Baiocchi as a snack or dipped in coffee. SuckerPunch Gourmet makes bold tasting pickles, salsas and Bloody Mary mixes. We only use all natural ingredients, are gluten-free, and packed with bold taste. BRIANNAS creamy balsamic vinaigrette is made with a careful selection of flavorful ingredients, including honey, balsamic vinegar, garlic, grape juice, and spices. Bring a unique addition to your dining menu by dressing up your salads or perfectly glazing or marinating poultry, meats, and seafood. Cauli Rice has as much as 75% fewer calories than normal white rice, and only 4 grams of carbs per 100m serving. It is the world's first shelf stable cauliflower rice. Preservative free & Gluten Free. Available online through www.caulirice.com. GOOD THINS "The Beet One" is made with real beets and flavored with balsamic vinegar & sea salt. A baked snack with a delicious tangy twist. No artificial colors, no artificial flavors, no cholesterol, no partially hydrogenated oils, and no high fructose corn syrup. Ozery Bakery. 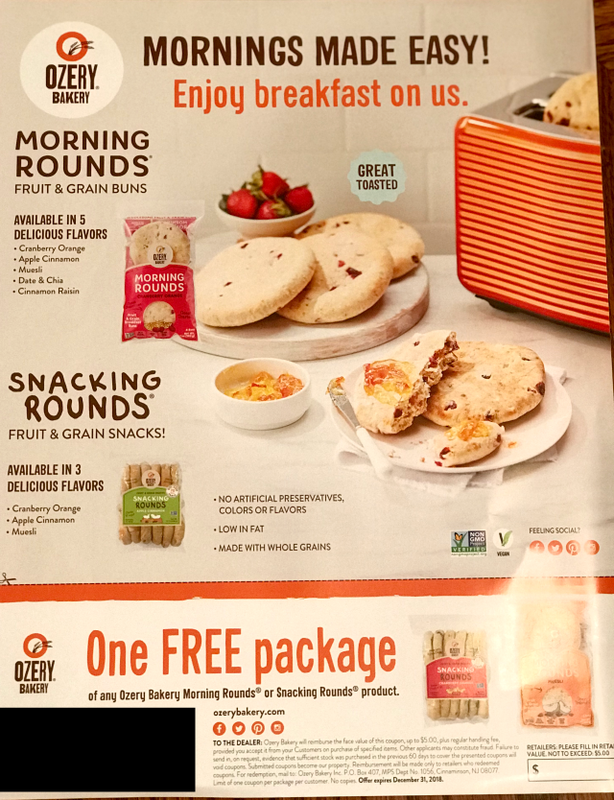 Morning Rounds & Snacking Rounds are non-GMO, Vegan breakfast buns. A great alternative to English muffins & bagels. No soy, dairy, egg, peanuts/tree nuts, or artificial preservatives. Muesli, cranberry Orange, Apple Cinnamon, Date & Chia. Snacking Rounds are only 70 calories per serving - Muesli, Cranberry Orange, & Apple Cinnamon. The retail value of this box was over $35 and my readers can score a box of your own for only $9.99 (normal price is $19.99) plus free shipping AND a FREE gift too! Just click HERE and enter J0HJB in the promo code section. I've used Barilla pasta & pesto, but the other stuff is new to me. It looks like a pretty interesting box. What an awesome box!! Im loving all the natural and healthy products in this one!! Ive heard awesome things about those beet chips! What a fun assemblage of gourmet foods! The Sfilati looks savoury! What a great collection of goodies to try. I've been wanting to try those Beets chips and the chocolate hazelnut barilla cookie sandwiches look good. 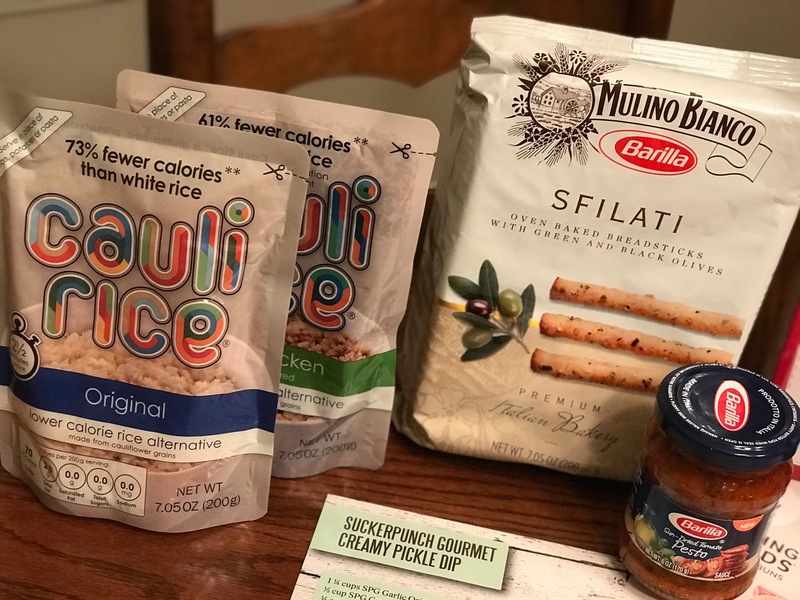 Been curious about Cauli rice too since we are trying low carb alternatives.